I love finding new hair products to add to my collection. I don’t very often purchase a shampoo or conditioner twice – once I finish a bottle, I like trying something new. There are exceptions of course, but generally I like to mix things up constantly when it comes to hair. Over the past few weeks, I bought a couple of new hair care products so I’ll chat you through my initial impressions. This was a completely spontaneous purchase – I bought this in Waitrose whilst shopping, after seeing the gorgeous packaging and amazing scent. I hadn’t heard of Richard Ward before, but I have had a look and they have an award-winning salon! I enjoy discovering new brands like this one. So, my initial thoughts. I can see why this is an anti-ageing shampoo – it leaves an almost oil-type residue on your hair. Now I know that if like me, you can get oily hair naturally, that sounds terrifying. But, somehow this doesn’t make my hair feel greasy – it feels like it nourishes it completely! I think the science behind my hair liking this shampoo is that you can fight fire with fire – using a shampoo with argan oil means your hair doesn’t need to produce any extra oils. My hair didn’t feel any more oily on the second day after I washed my hair. A super interesting one, I’m really glad I have this shampoo! Its different to the others that I have tried but I think it will be lovely over the summer, where the sun does dry my hair out. Before I say anymore…you need to try this conditioner. Seriously, it is incredible. Palmer’s is a favourite brand of mine. Their body care is great – the scent of the cocoa butter moisturiser just reminds me of summer whenever I smell it. This is the first product from their hair care range that I have tried though. This feels like a nourishing hair masque. I do need to mention the scent – it is AMAZING! I love the scent of coconuts, but not that really sweet, artificial smell. This has the most delicious fragrance, that makes me think of beaches and holidays. Even if you don’t buy this, smell the bottle next time you go past. This shine that this conditioner gives my hair is brilliant. It hydrates dry hair, with sustainable ingredients, no sulfates, parabens, mineral oil, gluten or dyes. It actually got me thinking that this is perfect example of a product that works fantastically without needing any damaging/unnecessary ingredients. Finally, a styling product. 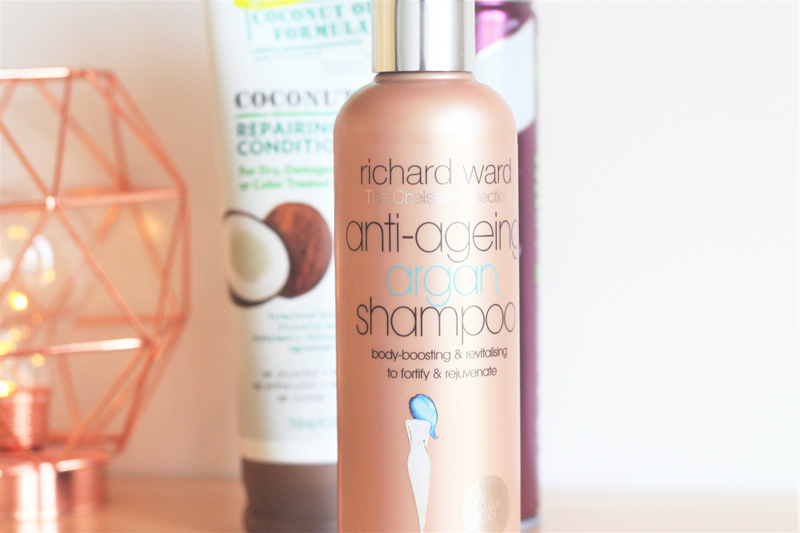 I featured this in my Superdrug haul and raved about it there too! I’ve talked about my hair before on my blog but in case you are new, (if you are new, then welcome!) I have long, straight hair that is quite fine – so any extra texture is a win. For just a couple of pounds, this has given me so much happiness already. I use this when I have freshly washed hair, which is so soft and doesn’t have much grip or body. This adds, some movemtny aand texture to my hair, making it easier to style. But the best part is, it doesn’t build up or feel heavy in my hair. A win-win in my books. What are your favourite hair care essentials? Next Post Get to know me: Liebster Awards 3, 4 & 5! What! 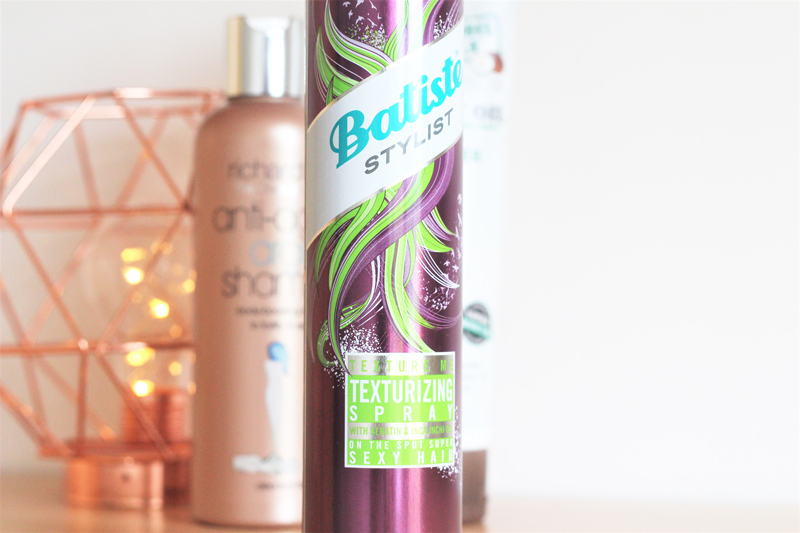 I had no idea that batiste has a styling spray!!! I’m obsessed with their dry shampoo, I can only imagine how good their styling spray is! Did you find it online or in stores? I’ve never heard of Richard Ward, but after seeing that beautiful packaging and seeing you say that it smells good, I will definitely be on the look out for it. 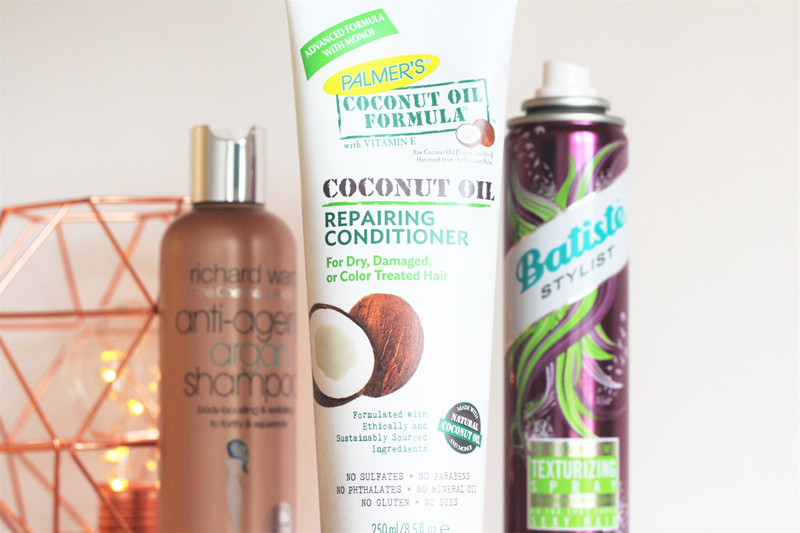 I’ve heard so many good things about the Palmer’s conditioner, but I’m one of those people who splash out on a shampoo and then go for the cheapest conditioner available. 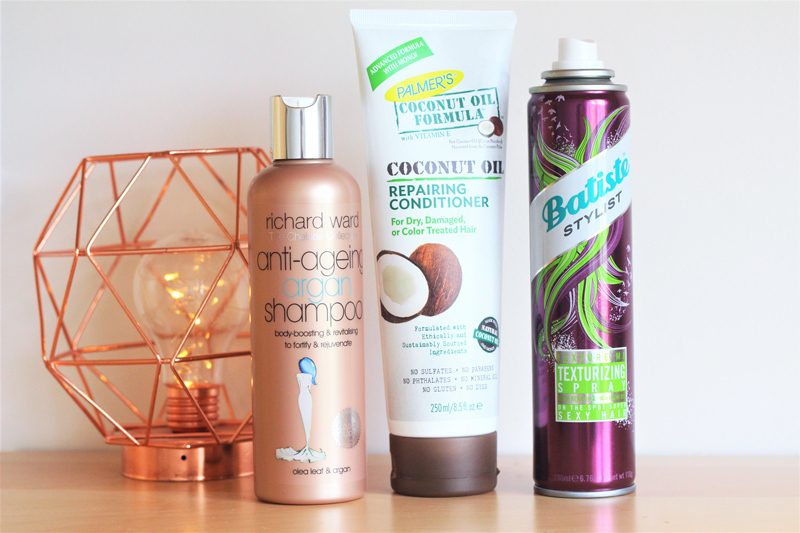 I seriously can’t live without my dry shampoo!